Any employees who enter excavations and trenches are required to receive excavation and trenching safety training. This online OSHA Excavation Safety training course is self-paced and has interactive exercises and quizzes to meet the OSHA excavation safety training requirement for competent persons under 29 CFR 1926.650-652. Complete your OSHA excavation safety training obligation online in your spare time and receive an OSHA Excavation Safety certificate and 0.2 CEU’s. Find the excavation and trenching regulations in 29 CFR 1926.650-652.. 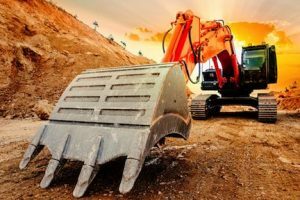 Understand the background and importance of excavation techniques. Give examples of different types of excavations found on the worksite. Be able to define the different types of excavations. This can include, but is not limited to excavation, trench, sloped excavations, and the importance of maximum allowable slope. Know the relationship between different types of soils. Know what is meant by competent soil, incompetent soil, and stratigraphy. Know the potential hazards posed by excavations. This includes, but may not be limited to, cave-ins, falls and equipment, water accumulationand standing water, electric shock, structural stability, and hazardous atmospheres. Know the different types of soils. This includes stable rock, Type A soils, Type B soils, Type C soils, and layered soils. Know basic procedures on how to determine soil type. Know how and when shoring system are to be put in place. Be able to identify the right type of materials to be used for shoring systems. Know how and when shielding is used in excavations. Know how to remove support systems and what to do with spoils. Know the responsibilities of those who work with excavations. This includes awareness-trained personnel and the Competent Person. The need and importance of an inspection program is also included. Learn procedures necessary to safely work around excavations on the job. This includes how to cross trenches, proper entry and exit from excavations, exposure to vehicles, exposure to falling loads, warning systems, and emergency response.